DENVER, CO — Ethic Industries, the owner of the Alchemy Bicycle Company, is launching a bike painting service at its Denver headquarters. Chroma Fab will offer OEM painting for bike frame and fork manufacturers, as well as motorsports manufacturers. BOULDER, CO (BRAIN) — Bike shops in Colorado and Pennsylvania are gathering donated gear for the Afghanistan cycling team. IRVINE, CA (BRAIN) — Shimano is continuing as a sponsor of this month's North American Handmade Bicycle Show and will use the show to promote its Alfine internal gear components, including its Alfine Di2 electronic shifting parts. DENVER, CO (BRAIN) — The North American Handmade Bicycle Show recently set a record for registered exhibitors. The show, to be held in Denver from Feb. 22-24, had 185 registered exhibitors as of Jan. 29. That is 11 more than the previous record, set at the Austin show in 2011. SACRAMENTO, CA (BRAIN) Mar 5 2012—Not only shop employees, but Ikon Cycles’ owner Adrian Moore, Beth Annon-Lovering, the owner of B&L Bike Shop and her daughter Christy, and no doubt other shop owners, visited the North American Handmade Bicycle Show during its 9 to 11 a.m.
SACRAMENTO, CA (BRAIN) Mar 2 2012 04:23 PM MT— Cycle Designs co-owner Wade Barocsi purchased the tubing business of Protube last December and is relaunching the business under Acel brand name. SACRAMENTO, CA (BRAIN) Mar 1, 07:51 MT— SRAM employees on Wednesday delivered some of the company's first new-generation Red road groups to builders eager to put the parts on bikes for the upcoming North American Handmade Bicycle Show here. SPEEDWAY, IN (BRAIN)—After four years in Speedway, Indiana, NAHBS HQ is uprooting and moving to Louisville, Kentucky, the venue for the 2013 UCI Cyclo-Cross World Championships, and also home to many enthusiastic handmade bicycle fans. LOUISVILLE, KY (BRAIN)—Olympic and world championship track medalist, Erin Hartwell, has joined the North American Handmade Bicycle Show in the new position of sponsorship manager. 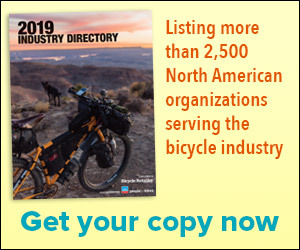 SPEEDWAY, IN (BRAIN)—The 2012 North American Handmade Bicycle Show, slated for Sacramento, California, March 2-4, has increased its inclusion of new builders by upping the number of new builder tables to 20, up from 14 at the 2011 show in Austin, Texas. SPEEDWAY, Indiana (BRAIN)—The NAHBS Awards, the finale to the North American Handmade Bicycle Show, have received a major overhaul including the judging protocol, the awards categories, the meaning of the awards, and the issue of the awards themselves. SPEEDWAY, IN (BRAIN)—The 2012 North American Handmade Bicycle Show, slated for Sacramento, California, March 2-4, continues its streak of success by surpassing booth and exhibitor sales expectations for the end of June, and is expected to sell out by Thanksgiving.